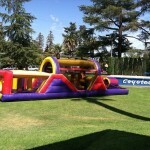 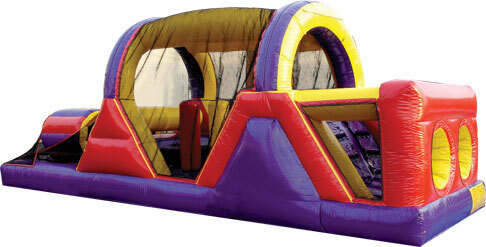 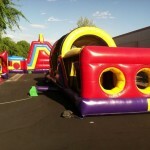 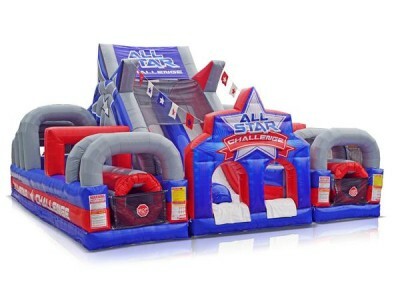 All For Fun’s Obstacle Challenge offers 30 feet of challenge obstacle entertainment in one unit. This inflatable play structure takes participants on a journey crawling through tunnels, maneuvering around horizontal and vertical pop-ups, with stamina-building climbing and descending along the way! 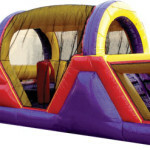 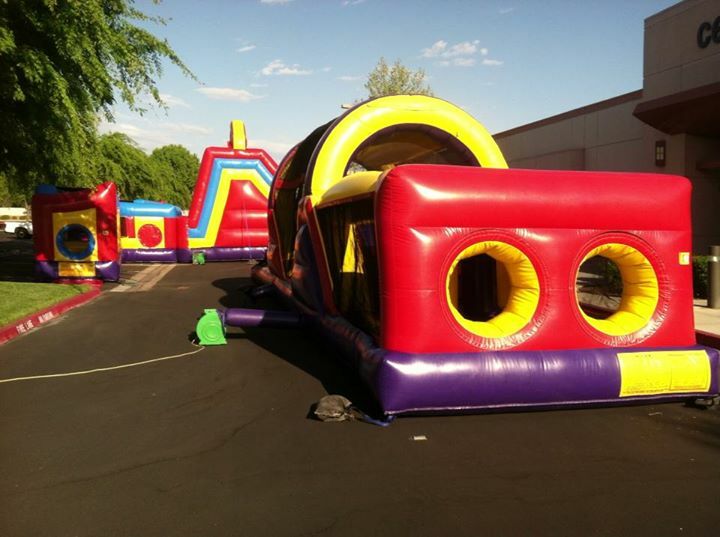 This sleek, low-profile 30′ inflatable obstacle course challenge provides a bright, primary-colored purple, yellow and red theme and its arching design will attract attendees and keep them entertained. 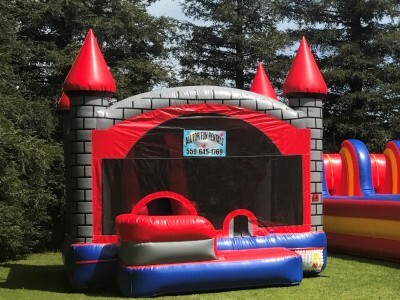 The 30′ inflatable obstacle course begins with a front-loading obstacle entrance, taking participants through tunnels and pop-ups to facilitate maneuvering skills and build confidence. 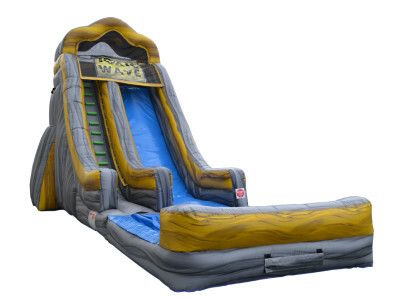 The inflatable obstacle course then leads to an exciting front-exiting climb and slide, all to guarantee hours of enjoyable physical activity. 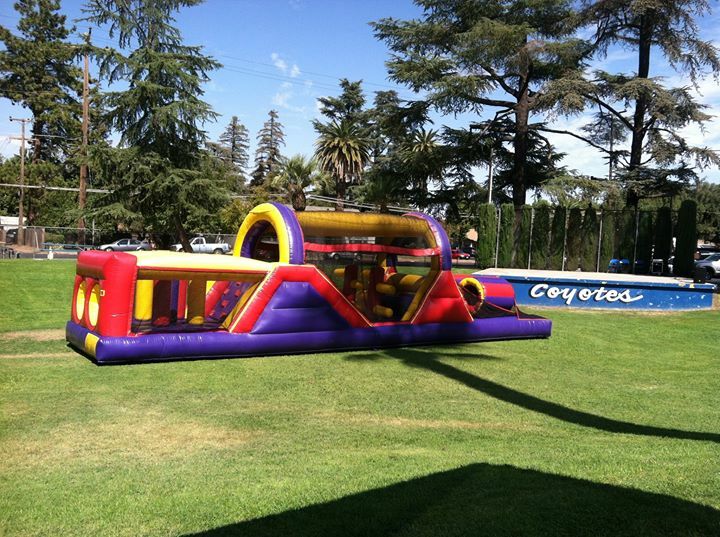 Corporate Events, Corporate Team Building Seminars, Company Picnics, Company Events, Grad Nights, Graduation Night Celebrations, School Carnivals, School Functions, Church Events, Church Youth Groups, Fairs, Festivals, Fundraising Events, Birthday Parties & other Special Events in Fresno and Madera Counties.